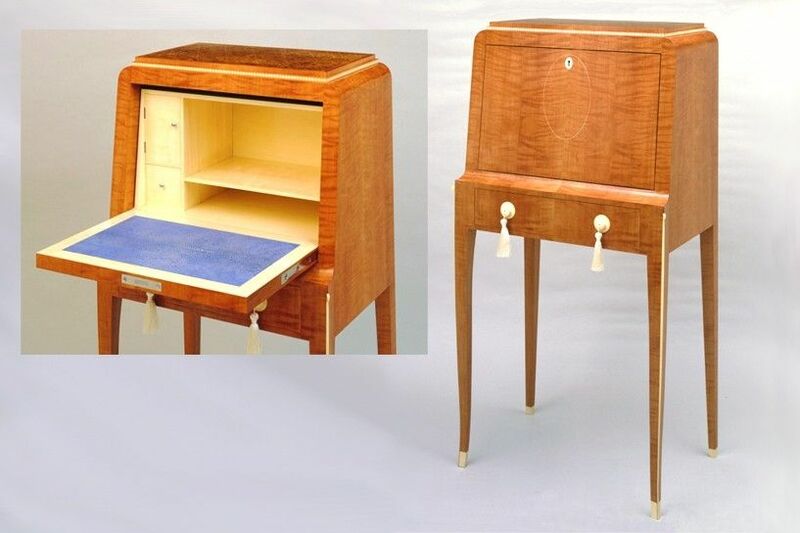 A somewhat contemporary spin on a classic Ruhlmann Art Deco desk. 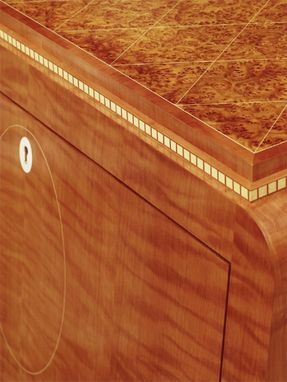 The desk is veneered in figured swiss pear with American holly inlay and an amboyna burl top panel. The interior is holly with a shagreen writing surface.